The capital of France holds an area of about 105 square km in which resides a population of about 2,200,000. This makes it one of the most populous cities in the nation. Paris has remained a major center of commerce, finance, science, fashion, painting, and music in Europe. This makes the city the second most expensive city to live in the world. It is behind Singapore but ahead of Zurich. If you want to visit this city then opting for the air route is the best option. You can choose to fly through the Paris-Charles de Gaulle or the Paris-Orly, which are two international airports and serve both foreign and domestic flights. So getting Japan to Paris flights, Hong Kong to Paris flights, New York to Paris flights, Dubai to Paris flights and more won’t be difficult. Paris is an art capital and museums and galleries galore here. 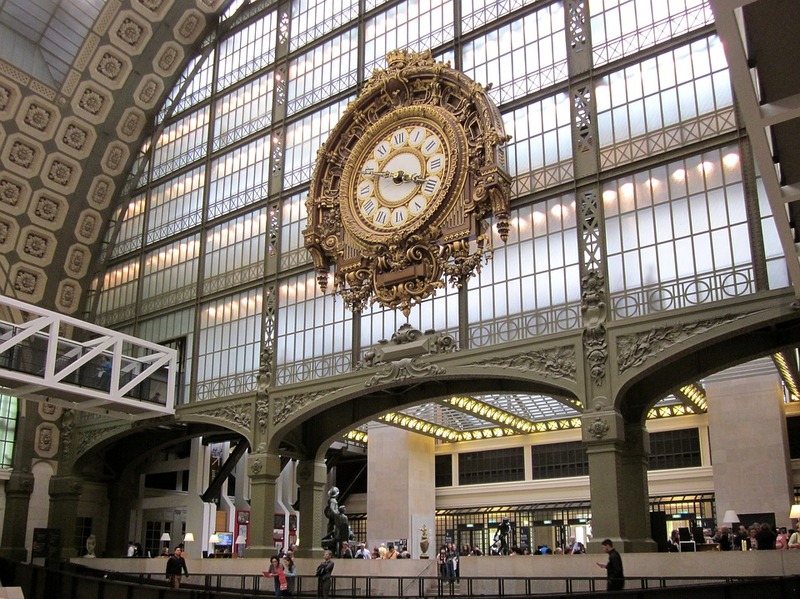 But the best of it all is the Musée d’Orsay which contains the largest collection of impressionist paintings in the world, crafted by artists like Van Gogh, Gaugin, Monet, Degas, Cézanne and more. There are also cafes and restaurants where you will be able to dine after an evening of appreciation, you can also take guided tours to make sure you visit all the highlighted areas. The Musée Rodin was once the studio of a great sculptor, but now this 18th-century stately mansion stands tall as one of the city’s most stunning museums which houses more than 6,000 of Rodin’s creations which includes his greatest masterpieces like The Thinker, The Burghers of Calais, The Kiss and more. The building itself is a treat to look at with rose gardens, a fountain and also a beautiful outdoor café which hosts cycles of exhibits on various contemporary works. Tired of the noise of the city, then spend a day at the serene gardens of a 17th-century palace which is was once a total residence. The palace boasts of fountains, arcades, manicured gardens and more. You will also be able to enjoy lunch at Zola, Colette, and Proust; shop at designer boutiques of Stella McCartnet, Rick Owens and more. Frank Gehry’s contemporary culture and art center include pieces by Gerhard Richter, Pierre Hughes, Sarah Morris, Ellsworth Kelly, Taryn Simon and more. The Foundation hosts temporary exhibitions as well as forays into African and Chinese arts and more. Seeing the city of love and lights from a boat on the seine- it doesn’t get better than that. You will be able to see the city’s beautiful bridges up close on this relaxing boat ride which lasts anywhere from a couple of hours to 4 days. Bateau Mouche also offers gourmet meals, a glass of champagne and even sightseeing commentary. Paris is a historical and modern marvel and one can successfully experience it only by abandoning all forms of motor transport and just strolling on the roads taking it all in. So hop on a plane for a journey of a special kind.